I don’t know about you guys, but I’m tired of winter! As much as I love winter clothing, I need green grass and flowers and sunshine. So as my island went to spring today, Jane came out with the loveliest spring sundresses! Lillian is an adorable empire style dress with a pleated front that opens to reveal a floral panel underneath. The skirt is sculpted, not flexi, but it moves well with my fidgety AO. Lillian comes in cream [shown here], honey, and marine. And like everything at Jane, it’s totally affordable for pretty much any budget. You’ll want all three colors, of course! I have a lot of de-winterizing to do on the island, so I’m off to skip around in my pretty dress! 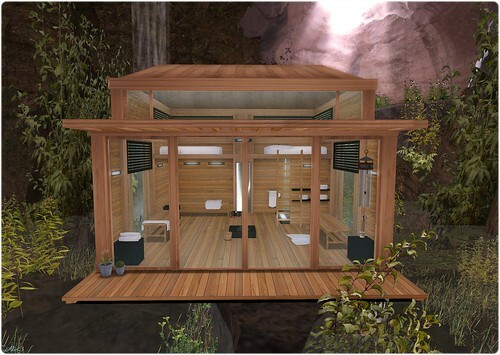 There are some days that I just have to jump on the bed and squeal because there is just so much good stuff in SL! Did you know that adorable Elle Kirshner of Second Spaces has a sister? And did you know her sister is getting her feet wet in the fashion world of SL? Swan Ling brings us Argyle Anonymous, a great little store with some cute and pretty affordable items! I’m wearing the green Buttoned Shirt over the cream Floral Tank. Keep your eyes open on this new store! I’m sure you all know by now, but there’s a new Belleza skin out! Erika is a sweet faced cutie with a precious little freckle under one eye. Like all Belleza skins, it’s beautiful. I’m sure a billion other bloggers will show you all the goods on the skin, but I’m not that kind of blogger, so you just get to see a close up! I’m wearing the Pale 3 with the Lips 5 tattoo layer lipstick. Soooo lovely. Do you love it? Of course you do. Oh, look at my eyes. They’re from new-to-me store Banana Banshee. They’re called Janszoon and I’m wearing them in Seagrass. Gorgeous. Skirt: Cut Off Jean Skirt in Light Blue by Doppelganger Inc. Normally I’d be accepted in a place like Stepford. Today…well, I just didn’t get in the gates. This shirt is really cute! It’s from T Junction as part of the “Serial Killer” hunt. The hunt name sounds just awful, but if the prizes are anything like this one, then it might be worth a go. There’s also a male shirt in the package. Happy New Year, everyone!! I hope yours was as fantastic as mine was! Now, I don’t know about you, but I always make a lot of preparations for the new year. Usually in the form of trying to move some furniture around. I was attempting to do this in SL, but I got distracted by my cute outfit and my new socks. This schoolgirl-esque outfit is called Black Night and is from Acid & Mala. Being that I’m a sucker for a short pleated skirt and a nice sweater, I simply had to have it. There is actually a bottom part to the sweater that has the white shirt poking out, but I felt it made me look fat, and honey, I can’t have that in both worlds. And my cute little socks!! I know, everyone probably has them already, but my sweetie gifted me with the Scrunched Prim Socks from Maitreya last night, and all morning I’ve been tippy-toeing around in them. I may never take them off. If I don’t wear shoes again, please blame Aldwyn.